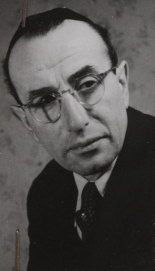 Martin Riesenburger was a German Cantor married to a Christian during WWII, and lived in Berlin. During WWII, he was given protected status and was allowed to function as Cantor and Rabbi at Weissensee, the old-age home that had a chapel and a Jewish burial ground attached to it. He survived the war and became Chief Rabbi of East Germany. Some revile Rabbi Riesenberger, some have sympathy for his role and his courage. We present a simple history of Rabbi Martin Riesenberger, the “Last Rabbi in Berlin” as a candidate for Saints of a New Era.